The Onin War was a vital moment in the history of Japan. It saw the collapse of central authority and the descent of the nation into feudal clan warfare. It was even more significant for the city of Kyoto, which was devastated by the war. In 1467, Japan was a strange sort of empire. For centuries, an emperor had ruled in theory but not in practice. The shogun ran Japan. In theory, the military dictator was chosen by the emperor. In practice, the power relationship was the other way round, with shoguns maintaining emperors as figureheads. The shogun, always a man from a powerful noble family, ruled through military might. He had his own court and civil service, the bakufu, with which to run the country. During the 14th and 15th centuries, the imperial title had also been disputed. Until the mid-15th century, a rival Southern Court had challenged the established emperor. Although they had been defeated, the conflict had shown that men could take anything; provided they had the strength and will to seize it. 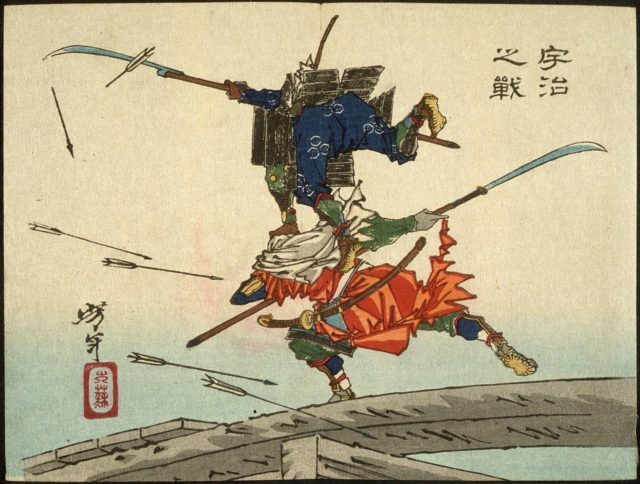 In the mid-1460s, political conflict stirred over who would be the next shogun. The Shogun Ashikaga Yoshimasa ran the country. When he had no children, he had named his younger brother as his heir. Then the shogun had a son. He wanted to make that son his heir, but his brother wanted to retain his claim. Two prominent nobles and advisors to the shogun, Hosokawa Katsumoto, and Yamana Sozen, took opposing sides over the issue. Hosokawa backed the brother while Yamana backed the son. The choice of who would succeed the shogun was an excuse to resolve a long-standing conflict. Both men were looking to strengthen their own position and give themselves control of the country after the shogun died. 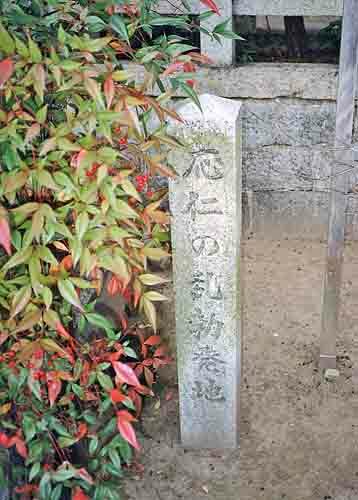 The marker at the location of the outbreak of the Ōnin War. As tensions rose, lords gathered their armies around the city of Kyoto, the center of national politics. Trying to prevent war, the shogun announced that whoever first used violence would be labeled a rebel. For a few months, a tense peace held. It could not last. 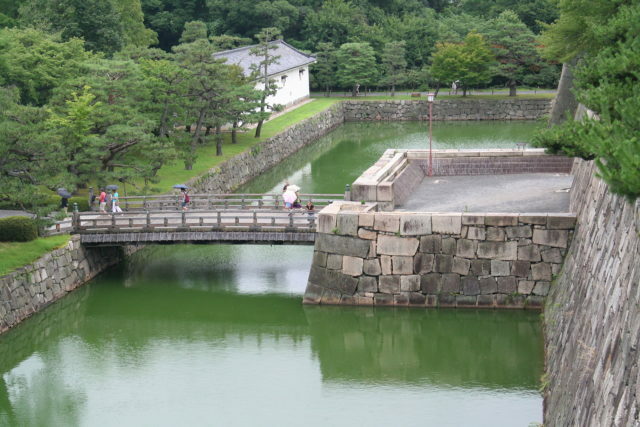 In the spring of 1467, the home of one of Hosokawa’s followers was burned down. In response, his side attacked the home of one of Yamana’s generals. Over one hundred thousand soldiers were gathered in and around the city. The violence quickly escalated, with brutal fighting in narrow streets, gardens, and courtyards. Both sides were pillaging and burning each other’s homes. Buildings were destroyed to punish enemies, provide materials for defenses, and make space for fighting. It was not a war of maneuver and distinct battles. There were no decisive encounters that could bring it to an end. It was a messy fight for survival, each side trying to wear the other down. The elite fled Kyoto, abandoning their fine homes to find safety in the provinces. Those left behind faced disease, starvation, and gangs of robbers roaming the ruins. Nothing was safe; even temples were left in ruins. Neighboring communities took up arms to protect themselves from bands of roaming samurai. For the first year, the war was contained in Kyoto. Over time, it spread to the outlying regions. In trying and failing to contain the conflict, the shogun had shown that he could not control the country. There was no reason to obey such a man. 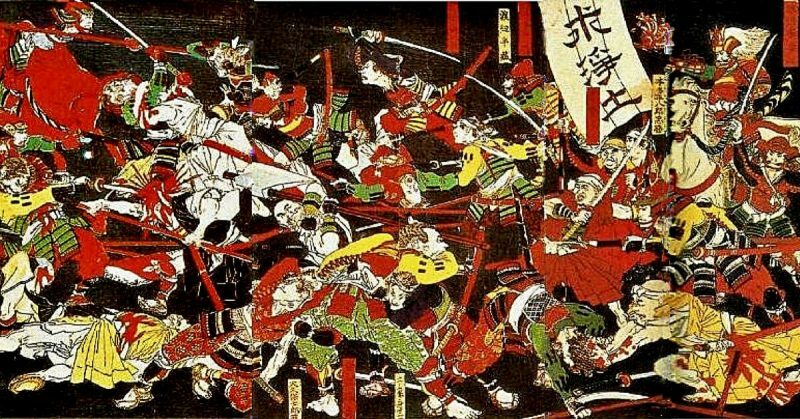 Daimyos – local lords – gathered their armies of samurai and supporting forces and went to war. A decade of violence followed. Prominent Clans grappled for control of the country. Lesser nobles took their side in the hope of attaining power or settling scores. Following defeats, hostages were taken as guarantees of good behavior. When violence flared up again, those victims of fortune met brutal ends. Three Clans were especially prominent in the fighting. The Hosokawa and the Yamana, who had triggered the war, played a leading part. Despite their leaders being related, theirs was one of the most vicious disputes. 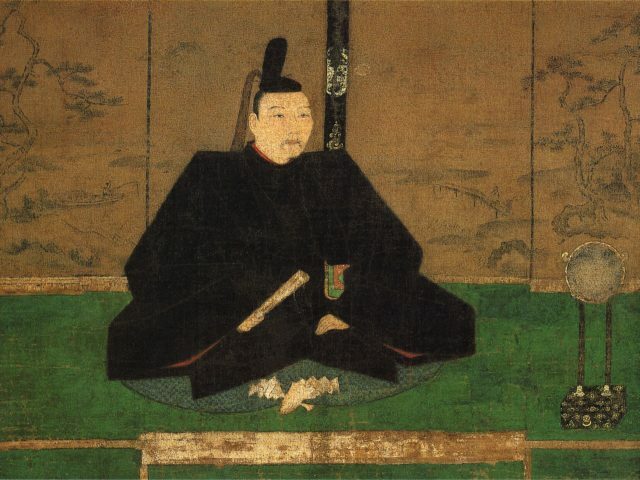 The Akamatsu Clan also emerged to prominence under General Akamatsu Masanori. The breakdown of authority gave a new lease of life to pirates in the surrounding seas. The 1470s saw a rise in piracy that would last for the next century. Some of those pirates acted with support from the daimyos. At the start of the war, Kyoto’s population may have been as high as 100,000 people. During the fighting, that number dropped dramatically. Some died, some fled. Merchants feared to go to the city, and its economy declined. After the first year, fighting in the city was intermittent. The constant threat of violence meant there was no hope of rebuilding, even during times of relative peace. It would be decades before Kyoto began to recover properly. The daimyos, who had once based themselves there in elegant townhouses, now stayed in the provinces, safe in fortified homes from which they could see enemies coming. The war ground to an end in 1477. Hosokawa Katsumoto, one of the originators of the war, was dead, but his clan triumphed. The shoguns were now their puppets, with a Hosokawa deputy giving the orders. The emperor was a figurehead overseen by a figurehead; the real power two steps removed from the throne. Several great clans had been wiped out during the war. The Yamana, Isshiki, and Hatakeyama all disappeared. Other clans, such as the Takeda and Saito, rose to take their place. They had gained power through violence and had no qualms about using it again. While the Hosokawa had gained control of the shogun, the war had deprived the government of much of its power. The shogun’s weakness had been exposed. For the next hundred years, daimyos would fight against each other and central authority. The war that almost destroyed Kyoto did the same for the shogunate. Conrad Totman (2005), A History of Japan, second edition. Stephen Turnbull (1987), Samurai Warriors.